Our larger Premium Panoranic Barrel sauna comes with the larger acrylic bubble back wall. This Clear Western Red Cedar sauna allows the user to view the lake, mountains or any spectacular view that is available. 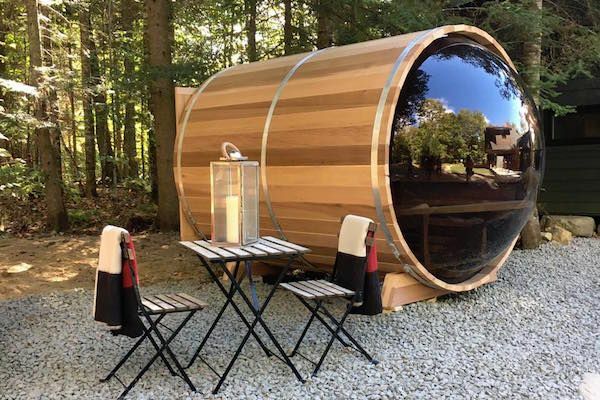 This unique wellness sauna feels spaceous and the views just add to the relaxing feeling.